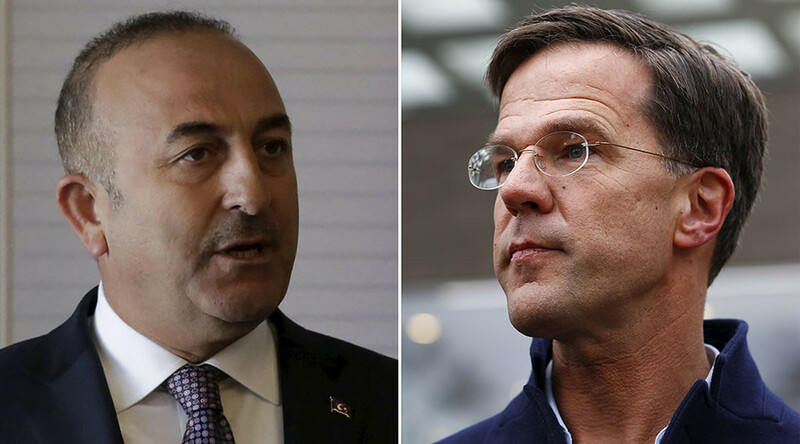 The Netherlands has barred a plane carrying Turkey’s foreign minister from landing, despite a threat he made earlier warning that such a move would prompt Turkey to impose sanctions on Holland, media in both countries report. The Dutch revoked authorization for Mevlut Cavusoglu’s flight hours after he had warned that Turkey would retaliate if his visit was canceled, CNN Turk and ANP news agencies reported. Amsterdam said Ankara’s threat of sanctions over the visit “made search for a reasonable solution impossible” and added that concerns over public order and safety were the reason to cancel the ministerial visit. On Saturday, Cavusoglu insisted that he would go ahead with his visit to Rotterdam even if local Dutch authorities did not agree to his taking part in a rally promoting a change in Turkey’s constitution. Cancelling the visit had been advocated by right-wing politician Geert Wilders, who secured a harsh dismissal from the Turkish top diplomat. “If the Netherlands cancels my flight clearance today then we will impose huge sanctions,” he added. The rebuke came in reaction to the cancelation of Cavusoglu’s appearance at a rally of Turkish citizens working in Europe. The Dutch snub is the latest in a series of similar measures taken by several European nations, including Germany, Austria, and the Netherlands. 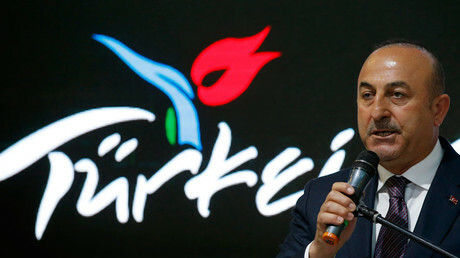 Cavusoglu intended to campaign at the rally to drum up votes in favor of an April referendum that would give the Turkish president new powers, but Rotterdam’s mayor, Ahmed Aboutaleb, banned the Turkish official from speaking in public in the city late on Friday. “He has diplomatic immunity and everything, so we will treat him with respect, but we have other instruments to prohibit things from happening in public spaces,” the mayor told reporters. The Turkish minister said that, by preventing Turkish citizens from meeting with an official from their government, Holland’s authorities were effectively holding them hostage. “These people are not your captives,” he said. A number of other Turkish pre-referendum rallies have been canceled by local European authorities this week due to security concerns. However, observers say the conflict reflects a larger stand-off between NATO member Turkey and its European allies, which criticize Ankara for a heavy-handed crackdown in the wake of an attempted military coup last year. The Turkish government has fired or imprisoned thousands of alleged supporters of self-exiled US-based cleric Fethullah Gulen, whom Ankara holds responsible for the coup, as well as a series of anti-government protest in recent years. Commenting on the confrontation, Cavusoglu warned that the Europeans were putting cooperation with Turkey on issues like immigration control at risk. Brussels and Ankara have stuck a deal in which Turkey agreed to ramp up its border security and take back asylum seekers from Europe in exchange for financial aid and political benefits. However, the visa-free travel for Turks going to the EU that was promised as part of the deal has failed to materialize, angering Turkish officials. Brussels says that Turkey first needs to revise its counterterrorism laws and address other issues, but Ankara considers the condition an infringement on its sovereignty.